[map] [street view] South of Patterson Road, south of I-10 exit 53. Co-located with WPMI-DT, WSRE-DT, WDPM-DT and WMPV-DT; FM stations WMEZ, WRGV and WTKX. 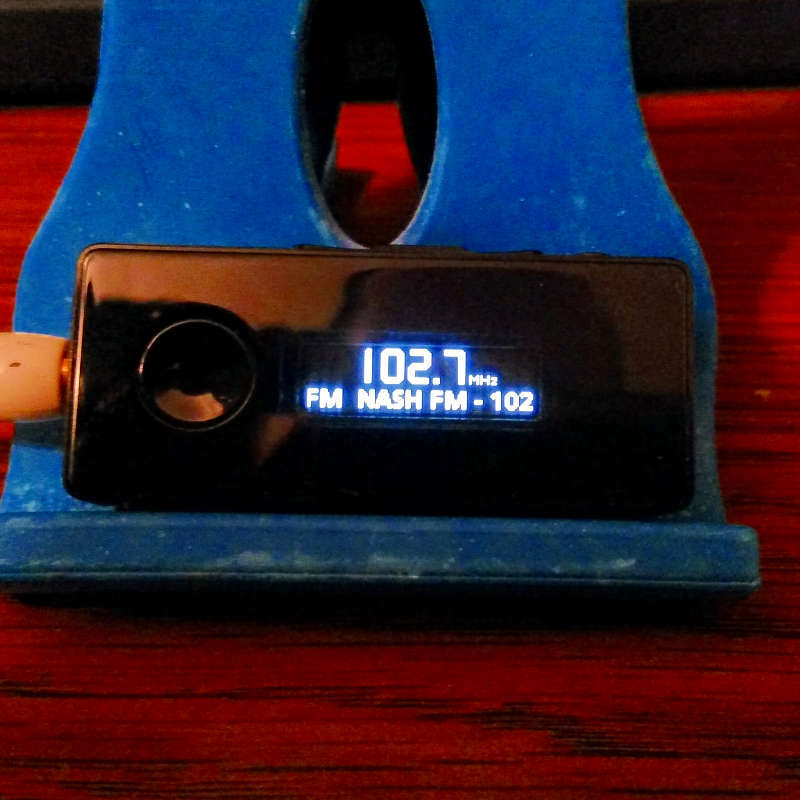 [Picture] Image showing the RDS text decoded by a Sony Bluetooth portable headset, showing the Radio Text field. Was originally on 102.3 as a class A offshoot of WEBY AM in Milton, a suburb of Pensacola. It ran 3 kW at 145 feet early on. Moved to 102.7 to become a class C facility in the mid 70's, with 100 kW from 500 feet. Around the time the FM upgraded, WEBY/WXBM owner Mapoles Broadcasting lost the license to the AM due to violating the equal time provisions of the FCC rulebook. Moved to a taller tower in Baldwin County in 1986. In 1992 the station was transferred to June Broadcasting, Inc., and in later it wound up in the hands of Albany Broadcasting Company of New York state, which later became Pamal Broadcasting. Has always been country since it's inception in the 60's. Now a Pensacola market ratings leader. In May 2012 it was announced that longtime owner Pamal had agreed to sell their Pensacola cluster, WXBM and WMEZ, to Cumulus. These were the last stations Pamal owned in Florida and marked their exit from the state. As part of a nationwide marketing push, Cumulus flipped WXBM to their Nash FM branding on 3 February 2014. It's unknown if any local personalities have survived the change, as Nash is almost totally a national brand.